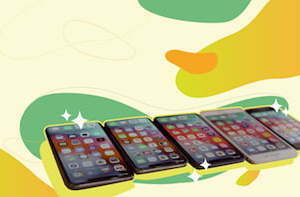 The Best Non-Smartphones for 2019: Which Should You Buy? 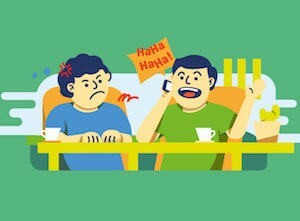 Stop the notification insanity, trim your bills and enjoy a quieter life. Get yourself a “dumb” phone. While smartphones rule the market, they’re not without their downsides. Between the cost of data packages and the price of the phones themselves, staying up to date isn’t exactly cheap. That’s not to mention the indirect costs -- the endless distractions, annoying notifications, or the fact that many of the big tech companies allegedly monitor nearly everything you do on your phone. 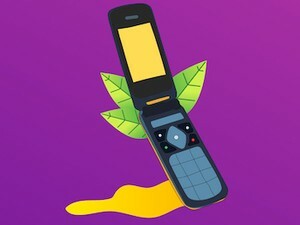 Whether you call them basic mobiles, dumb phones, feature phones, or non-smartphones, this guide is going to break down some of the best options available. Editor’s Note: This post has been updated for 2019. While a bit pricier than other “basic” phones, the CAT B25 is a great value. Ideal for those with active lifestyles or who need something that can take a few drops and dings, it features a grippy, rubberized shell and durable construction. It's even waterproof to 1-meter for up to 30 minutes. Reviewers on Amazon note taking them out on the farm, to the work at steel works, and dropping them on construction yards with no issues. The 2-inch colour display makes it easy to read texts or check caller ID while the emphasized buttons make sure you dial accurately -- even with gloves on. Reviewers particularly liked the volume pumped out by the speaker on the phone. Whether you’re taking calls or jamming out to your favourite tracks, you’ll have no trouble hearing. The phone only includes 512MB of internal storage. If you're planning to listen to music or podcasts, you'll need to use the microSD slot on the phone. It supports cards up to 8GB. 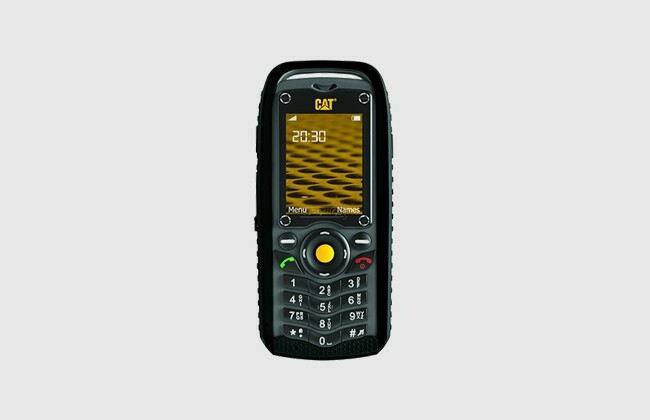 With waterproofing and a rugged case, the CAT B25 is ready to handle just about anything you might throw at it while keeping you in touch with those that matter to you. 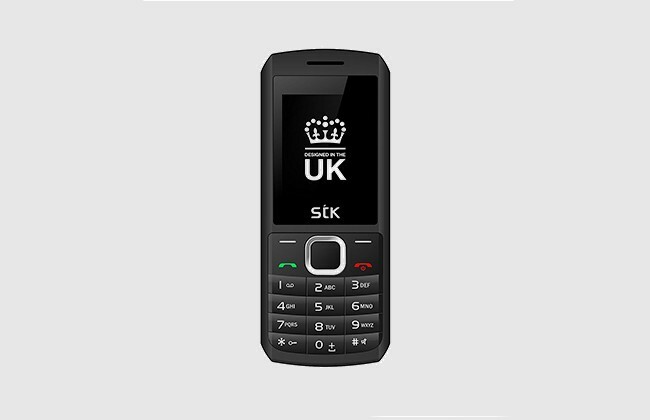 Designed in London, the STK R45i crams all the basics into a sleek looking candybar mobile at a rock-bottom price. The angled corners and rear accents help keep it looking like the waves of cheap alternatives available. Yet, the low price doesn't mean sacrificing features. It includes a shocking 16GB of internal storage, integrated FM radio, and even includes headphones to make enjoying your favourite tunes a breeze. The 1.77-inch display might be on the small side, but it's enough to read a quick text or check the caller ID on incoming calls. There's also a built-in torch, the classic Snake game, and microSD support. The R45i packs all of the communications essentials into a compact package that makes breaking up with your smartphone affordable. Combining a glossy outer shell, a hidden front display, and smooth curves, the Nokia 2720 Fold stands out from the crowd. The 1.8-inch main display is bright and colourful. The low resolution panel features good viewing angles and makes text easy to read but might not be the best for viewing images or using the included mini mobile browser. With only 32MB of internal storage and no microSD support, you won't be able to use the phone for media. But there is a 2.5mm headphone jack for connecting a headset and Bluetooth for making calls. On Amazon, a reviewer says, "Petite, discrete, light to carry and eye-catchingly attractive... a damn good, little phone which serves all my requirements well"
While it's not the fullest-featured phone in this roundup, it's definitely one of the most attractive. If you're looking for basic features with a unique look, the Nokia 2720 Fold is a great value. 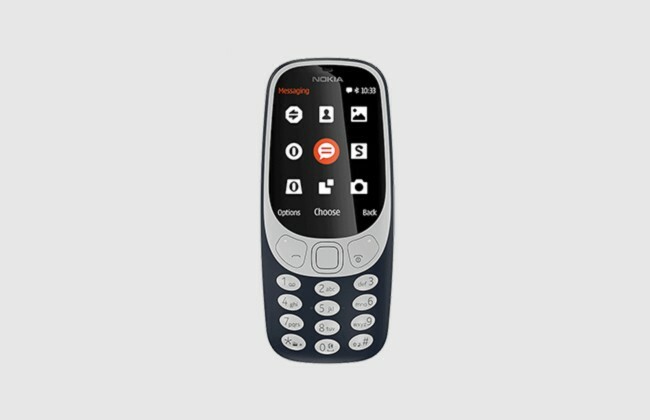 Featuring the classic candybar shape and look of the classic 3310, the Nokia 3310 3G offers a nostalgic experience with all of the basics. The 1200mAh battery is one of the largest in this round-up. And as a quad-band phone, it’s compatible with networks across the globe. 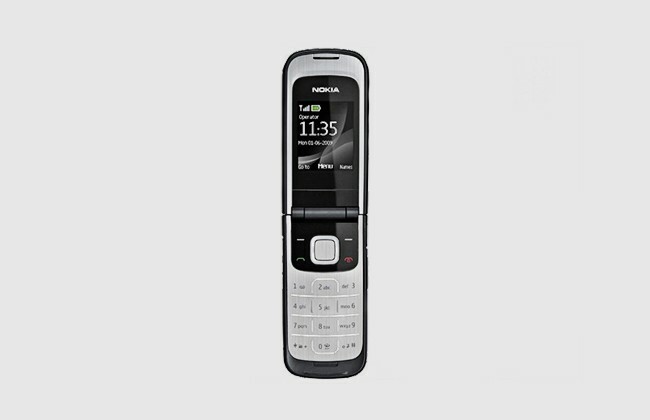 With support for microSD cards up to 32GB, an FM tuner, and both Bluetooth and a 3.5mm jack, the Nokia 3310 makes a great media playback device. The 1.5-inch display is one of the smallest in this collection. 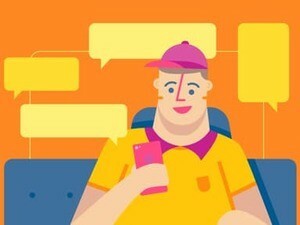 However, reviewers had no trouble with hammering out a quick text or viewing notifications. There’s also a 2MP camera, but without Wi-Fi you’re left with few options for actually making use of the photos. 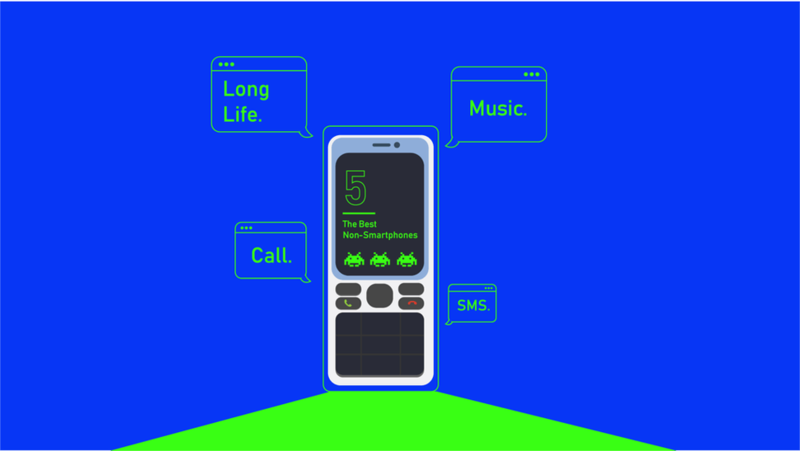 With support for both Bluetooth and wired headphones, expandable storage, and plenty of battery life, the Nokia 3310 3G provides everything you need to keep in touch and enjoy your favourite music and podcasts without worrying about searching for an outlet in an hour or two. The Doro 1360 is one of the simple to use phones on the market. One Amazon reviewer says, "The phone itself seems solid enough, quite lightweight, but for me the beauty is its ease of use." Its candybar design features large buttons and a wide screen for easy use -- even with less than perfect vision -- while the loud speaker makes calls crisp and clear. The 2.4-inch display features plenty of room for text messages and call notifications. It's also quite bright and colours are punchy. The phone's rear cover features an assistance button that can dial up to 5 numbers in succession or sent preset texts to those numbers in the event of an emergency. While the phone doesn't offer internal storage for media, it offers an FM tuner for keeping up with the news or listening to live broadcasts. Combining accessibility features, a large display emergency notifications, and chunky, defined buttons, the Doro 1360 is simple to use whether you're young or old. While there’s not a ton of information available yet on either model, we wanted to include these due to their innovative approach to simplifying the smartphone experience. Of course, since these are crowdfunded, there’s some risk involved if you decide to pick one up. Some crowdfunded projects look great and still never see the light of day. 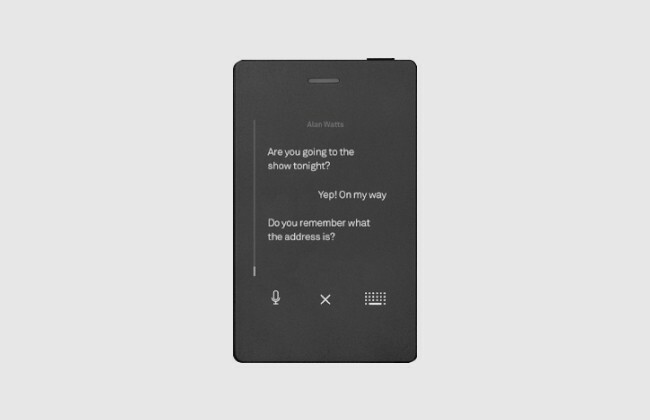 The Light Phone 1 is essentially a basic mobile disguised as a smartphone. It pairs with your existing smartphone to allow you to use basic communications features without all the fluff. And we think it’s a pretty cool looking little device. 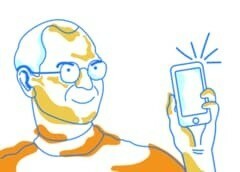 But the second one, the LightPhone 2, is truly interesting. It’s a standalone mobile -- no need for pairing. You’ll also find a touch keyboard for hammering out quick texts, and some physical buttons to help switch between the limited list of features. Developers are discussing adding media playback, a calculator, Bluetooth and some other tools -- but that’s all speculation at the time of writing. The first LightPhone sold out and they’re still trying to meet demand for orders. The LightPhone 2 -- which looks even cooler and features an e-Ink display -- has smashed its funding goal and is slated for release early 2019. 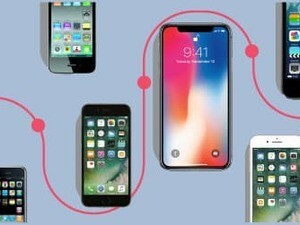 We think these types of devices will add a nice middle ground between smartphones and basic mobiles in the future and can’t wait to see how they work out! There’s no doubt that smartphones have changed the world forever. However, there’s more debate lately on whether many of those changes were for the better. From blue light interfering with sleep to notifications keeping us constantly distracted, there’s mounting evidence that smartphones might be causing increased stress and decreased productivity. That’s not to mention the impact of constant social media streams on mood, the possibility that any number of companies could be watching your every move, and the fact that smartphones essentially place a never ending source of advertising in your pocket. 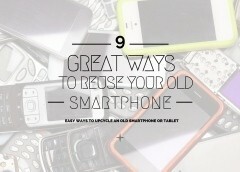 If you’re curious to see why many people are choosing to ditch their smartphones for simpler models, check out our smartphone ditching guide . It includes links to additional reading and resources to help you make an informed decision about the right tech for you or your family. The picks in this buyer's guide are what we think are the best non-smartphones (aka: dumb phones) for most people. We selected these models based on analysis of expert reviews from around the web, user feedback on sites like Amazon, forum comments on our site, social media discussions, and more. We compared the things most people consider when purchasing a basic mobile. In short, we did the research -- so you don’t have to. Your mobile is only useful if it has a charge. While standby battery life is often better on basic mobiles, we wanted to make sure that you could get through a few days without hunting for a charge. Calling, texting, and picture messages felt like a great baseline for standard mobile use. This also means that unless noted in the description, these picks won’t sit and vibrate or chime all day and distract you. 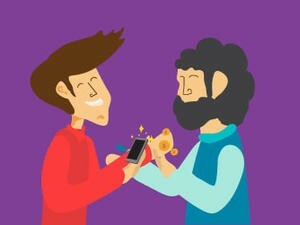 While you can buy a smartphone just about anywhere these days, basic mobiles are sometimes harder to come by. For that reason, we chose picks that you can easily pick up online or that you might find at a local network store. Let’s face it, most basic mobiles sit at the bottom end of the price scale. And when prices get that low, quality can get sketchy. We scoured online reviews for each of our picks to be sure that you won’t find weak hinges, blurry screens, tinny speakers, or other surprises. While we feel our picks offer a great experience to a wide range of people, there’s not a single pick that will be perfect for everyone. How you like to keep in touch, your budget, and even personal design preferences will change what you consider ideal. 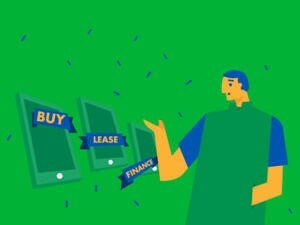 This is why we make multiple recommendations and suggestions based on mobile features , prices, and unique characteristics. If you’ve got a favourite basic mobile, or you’ve made the switch from smartphones to a more simple option, let us know how it went in the comments below! We want more people to live a bit more and worry a little less -- and this seems like a great way to calm the chaos. Editorial Note: Compensation does not influence our rankings and recommendations. However, we may earn a commission on sales from the companies featured in this post. Opinions expressed here are the author's alone, and have not been reviewed, approved or otherwise endorsed by our advertisers. Reasonable efforts are made to present accurate info, however all information is presented without warranty.